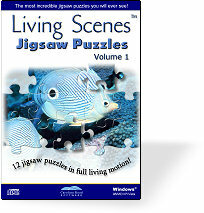 Shown below are thumbnail pictures of the full motion computer jigsaw puzzles in the Living Scenes Jigsaw Puzzles Volume 2 CD collection. 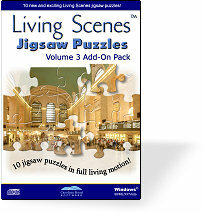 Click on the thumbnail pictures below for a larger view of each Living Scenes jigsaw puzzle. Purchase your Living Scenes Volume 2 CD today! 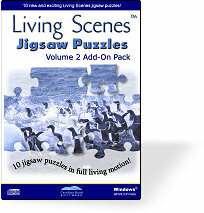 10 bonus still image computer jigsaw puzzles are also included on the Living Scenes Jigsaw Puzzles Volume 2 CD.